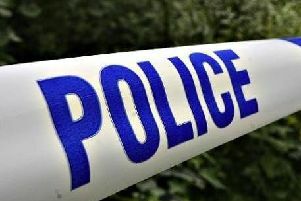 A glass door was smashed open as thieves forced their way into a home in Horley. Police have released information today about a burglary in Limes Avenue on Tuesday July 24. Officers said two men broke into the property between 3pm and 7pm, stealing serval items before making off on a motorbike towards Staffords Place. The pair arrived on the black and white motorbike before jumping over a fence and smashing open a glass door. Police said one man was described as white and stocky, with a close shaven head and stubble. He was wearing dark speckled Nike t-shirt, shorts, gloves and was carrying a rucksack. The other man was described as white, of medium build, with light coloured hair and a short beard. He was wearing a dark t-shirt and dark trousers. Officers have also released CCTV footage of two people they would like to speak to in connection with the incident. Anyone with any information is asked to contact 101 quoting reference number PR/45180079381. Alternatively you can call Crimestoppers anonymously on 0800 555 111.